Here is a real life Zoe Lambros – Sara Yeshua who served in the Greek Resistance. Born in the “Ovriaki” (Jewish quarter) of Chalkida in 1927, Sara (or Sarika) Yeshua belongs to the emblematic figures of the resistance. 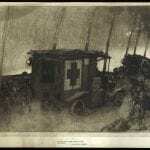 When the war broke out, she was a student in the Public Commercial School in Chalkida. 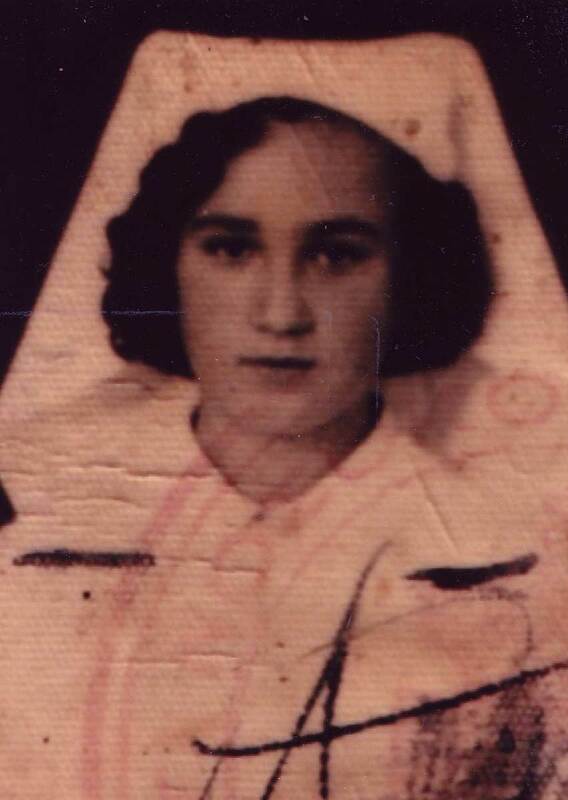 After the untimely death of her father in the same year she was born, she was brought up by her mother, Zafira, and her older sister Yaffa on Kotsou St, the main street of the Jewish quarter. Her mother was the sister of war hero Col. Mardochaios Frizis, who played a key role in the formation of her patriotic consciousness. Before she turned 15, Sara assisted the wounded at city’s military hospital as a volunteer nurse. The next step was the resistance. The energeticJewish girl secured fake identities for her mother and herself. 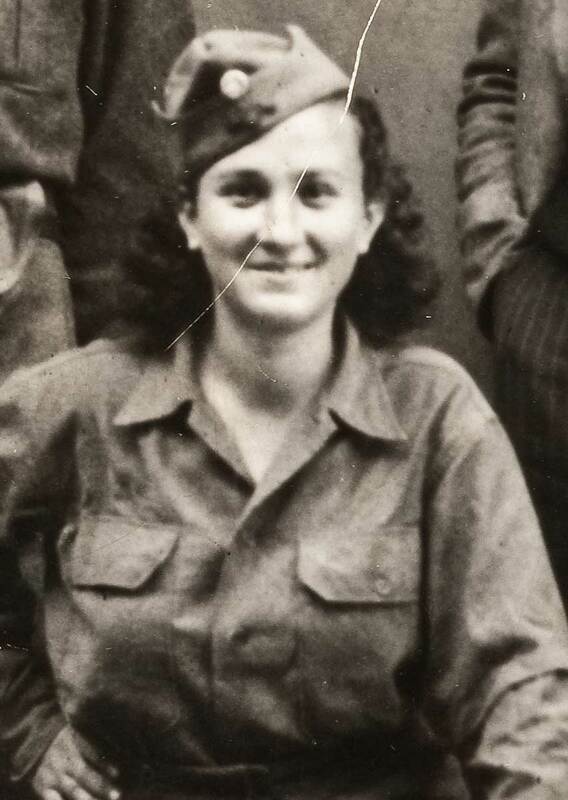 From the beginning of the German occupation (October 1943), Sara got involved with EAM, took her mother and left Chalkida for Steni where her sister lived with her husband. To guard against German incursions against the terrified Jews who had fled to the mountains, the resistance dispersed the Jewsin various villages (Paliouras, Theologos, Stropones, Vasiliko) and later they organised an escape network by boat to Turkey from Tsakei beach. The young Sara became a teacher in the isolated village of Kourkouloi and worked actively in EPON. 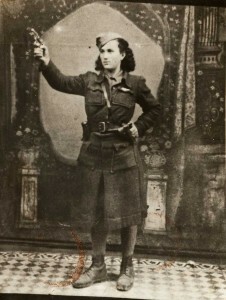 After the horrific murder of her cousin Mendi Moschovitz by the Security Battalions in Stropones (4 March 1944) and the burning of Kourkouloi, she joined the partisan ranks. She established herself immediately as a speaker who passionately preached armed struggle, particularly among young women. Soon he formed an independent female group that fought, gathered intelligence and organised theatre performances in the villages. An American journalist who was in occupied Evia devoted a paragraph to her in an article aboutthe Greek partisans: “She’s a short, stocky girl with dark hair and blue eyes. She runs like a man and can shoot a walnut from a tree at 200 yards. Whether she is calling out marching orders or pounding out a beat with her arm as her Company goes singing down a mountain path, she does it vibrantly and proudly”. At the liberation, she was “kapetanissa” (partisan leader) of the Model Women’s Platoon of the 7th ELAS Regiment and already legendary among the partisans of Evia under the name “Captain Sarika.” She now lives in Tel Aviv.